Vinyl flooring is a great choice for many homes. It has long been an important part of the home, as it has been used for several years as the affordable, good-looking solution for high traffic areas. The problem is, there can be problems with the tiles over time, which is not uncommon for any type of flooring you may have. 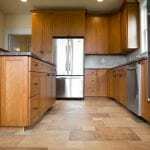 Prior to investing in a whole new floor, you may want to consider a few methods to improving the vinyl flooring by doing a few repairs. One of the nice features of vinyl flooring is that it is now often installed as tiles rather than whole sections of flooring. This can help to make repairs incredibly easy to do. Remove the damaged tile by using a blow dryer which is set to the hot setting. As the tile heats, the glue holding it in place will melt enough to be removed. Remove any old glue completely using a putty knife (carefully) as this will help the tiles to lay flat and even. Fit the new tile into place, without adhesive first. Ensure that it fits well and then apply the adhesive and attach. This way, you can ensure it is in place and the right fit first. Remove any extra adhesive from around the edges after placing the tile in place and pressing it firmly down. It is easy to remove the adhesive at first, with a wet cloth, but not so easy after it dries. This is great so long as the problem with the vinyl flooring is replacing a tile. But, what if it is just a small hole, such as one from a fallen plate? There is a fix for this, too. Purchase an acrylic paint and a clear epoxy. The acrylic should match the colour of your vinyl as much as possible. Then, place a piece of masking tape around all four sides of the whole. Add the acrylic paint to the epoxy until the colour matches properly. Fill the hole with the solution you have made. Then, level it off and remove anything that is extra. Use a straightedge from a putty knife to ensure a level edge. Allow to dry, with the tape in place, for 24 hours before removing. Vinyl flooring is a good investment. 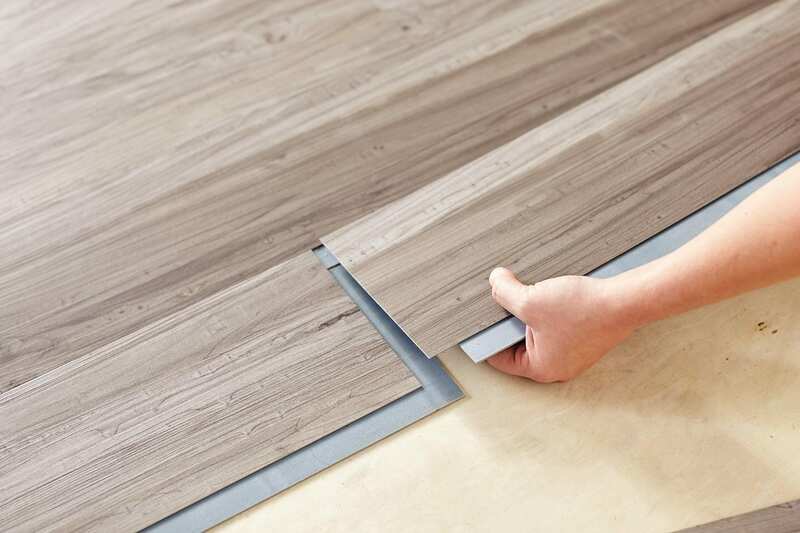 If you purchase it in a higher quality, repairs are easier to do since the flooring will take more damage (and not need those repairs too often) and they will fit well within the flooring structure. 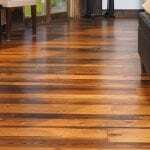 You can easily make these repairs and have your floor looking great within a matter of a few hours. 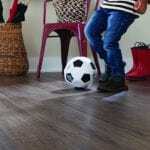 That is one of the benefits of this easy to use flooring.